Marcus provides cross-asset coverage on economics/monetary policy. 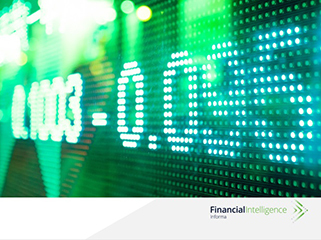 He looks at the impact on global fixed income and FX markets with respect to pricing monetary policy expectations. As a Senior Editor/Analyst, Marcus also provides a combination of fundamental and technical analysis for commodity markets to make sense of price moves. Marcus joined us in 2010 and writes primarily about the impact of the macro-economic landscape on monetary policy expectations with respect to global fixed income and FX markets. He also contributes to the Monthly Interest Rate Outlook as well as editing content for the Central and Eastern European and Latin American products. In addition, he compiles special reports on topics such as Brexit and US Money Market Reforms. Before joining us, Marcus spent 10 years producing live business and financial TV programmes at CNBC and Bloomberg, during which time he also earned a Masters with Distinction in Economics. Welcome to The Context, our Financial Intelligence newsletter containing thought leadership articles spanning a host of asset classes.